If you are hoping to get into investing in real estate or properties in Arizona, choosing a private money lender can be the perfect opportunity to open doors for you and your financial goals. Learn how private money loans can help shape your future with investing in real estate and grow your income substantially. While trying to find a private money loan may sometimes seem like a tricky or difficult process, thankfully you do not have to go through it on your own. A private money lender is an individual that is able to help you get the funds you are hoping to borrow from private investors. 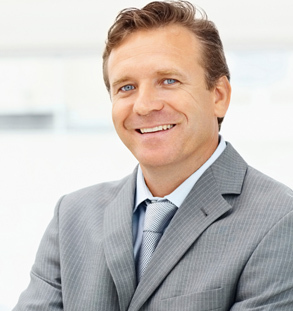 These individuals are also sometimes referred to as loan officers. Private investment opportunities can open doors for you and your financial future that may have been previously held closed. The process of acquiring private investments is much different than what you would undergo if you were seeking an investment opportunity from a broker that works in a traditional bank setting. With the use of money from private investors, you won’t have to worry about having a poor credit score or not having a firm credit history. Private investors don’t analyze your credit history or take that into account when seeing if you are able to be eligible for a lending opportunity. Instead, private investors will take into account your ability to pay off the loan and are often able to work out a plan for payment that will work with your financial constraints and that is well within your budget. For people that do not have good credit or are not going to be eligible to quickly acquire a loan at a bank, private money is the perfect solution to begin investing in property as soon as possible. Join the ranks of the thousands of people nationwide that are taking advantage of the doors private investors can open for them. Private money lenders are a great way to expand your financial horizons, reach your financial goals and network with experienced business professionals. The use of private money investors to jumpstart your investments is a worthwhile risk to quickly expand your income and secure a more positive financial future. With any new investment opportunity or real state venture, it is extremely important to weigh every single factor of the loan or lender you choose before making your final decision. Can you imagine how many opportunities you could pursue if your credit history or poor credit score never came into consideration? If you currently suffer from a credit score that is limiting you from reaching your dreams, private investors are the perfect solution to begin achieving your financial aspirations and making big changes to your life. Don’t delay in reaching out to a private money lender that can help connect you with real private investors that are eager to help individuals reach their dreams and secure a larger income. Realizing your dream of a better financial future is closer than you think.